Scrub and gourmandise. Ideal mix of Morocco and Switzerland, this product with pure cocoa is a vitamin and mineral-rich exfoliant that deeply cleanses and nourishes the skin. Delectable, it smells divinely good and the virtues of cocoa act against cellulite by flushing toxins. 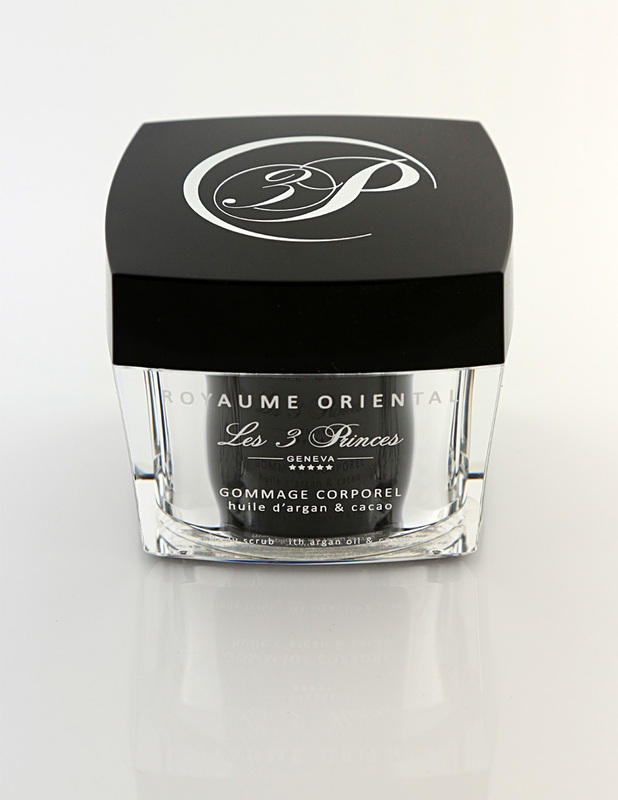 It restores elasticity and hydration to the skin thanks to its formula enriched with argan oil. Soduim chloride, isopropy myristate, prunus armeniaca (apricot) kernel oil, kaolin, red clay, morrocan lava clay, cera alba (beeswax), butyrosper-mum parkii (shea butter), argania spinosa, cocoa shell (theobroma cacao) powder, parfum / fragrance, benzyl alcool, potassium sorbate, sodium benzoate.